As the last days of Summer begin to fade and the official Tunisian political campaign season gets underway, we begin to see the chess pieces moving. In a speech to the nation, Tunisian Prime Minister Beji Caid Essebsi “imposed a ban on any union activity in the nation’s security forces” and made a few other comments that were worth noting. Essentially, the Prime Minster has picked a fight with the security forces referring to a small percentage amongst them as “monkeys”. It is no mystery that break ins and other petty crimes are on the rise throughout Tunisia and that morale is low among security forces. During the course of the last few weeks we have visited many police stations throughout Tunis and our impression is that security forces are overstretched to say the least. The combination of increase pressure + the negative tone that is taking place between the security forces and the interim government; is not a good development for the overall security in Tunisia. 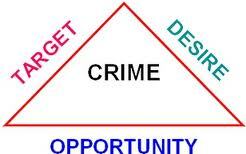 Security experts agree that in order for a crime to take place (3) factors have to come together: Desire, Target and Opportunity. Whether in a police state or in a state of anarchy, we have the power to greatly influence 2 out of 3 factors. It is always a good practice to conduct a quick situational assessment of your environment. The more you know about your surroundings, the less of a target you become. Criminals desire easy targets, don’t give them the chance. On the issue of Opportunity, You control this by paying attention to your environment. Are you in a bad area of town? Are you walking in an unlit area? Are you in a secluded area? Limiting opportunities is all about awareness and listening to that inner voice. 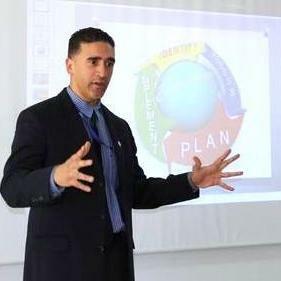 It’s interesting to discuss this issue with other security professions because we know that in any other major city, people automatically apply these practical measures, but for some reason (perhaps because of the beautiful blue sky and lay back nature of Tunisians), Expats have a tough time remembering basic personal safety guidelines. It can not be overstated, especially during the run up to October 23rd, the importance of implementing basic personal safety guidelines: Situational Awareness, Buddy System, Changing Routes, Staying Updated, Neighborhood Awareness, and Emergency Planning. Criminals are not stupid, they know how to read between the lines and when they hear that there is a rift between the security forces and the interim government, they will feel even more embolden to commit crimes. So take matters into your own hands and do whatever you can do to reduce being a Target.